Firstly, I want to point out that I am the worst at DIY but completely created a bath bomb and lip balm all on my own! 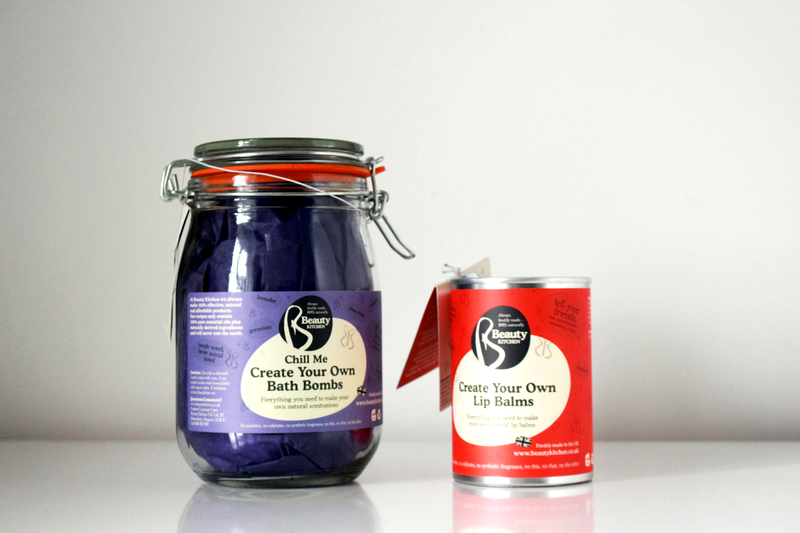 You can find a video of me reviewing the Create Your Own Bath Bomb Jar here too. 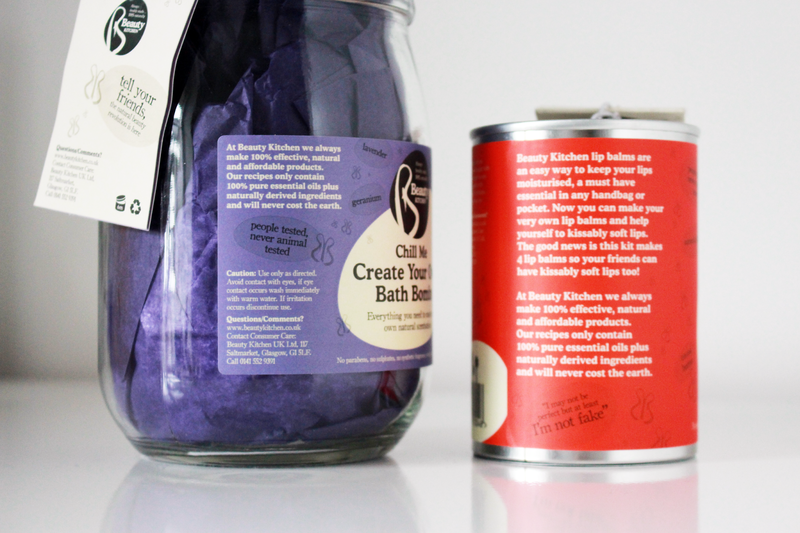 The jar comes with Soda Bicarbonate, Citric Acid, Cranberry Seeds and Wildflower Seeds (but those aren't for the bath bomb). I then only needed to find a mixing bowl, sieve and water in my house - easy peasy! The instructions were clear and they also added some facts about the ingredients you use and why they help. After following the instructions, I was left with 4 bath bombs!! You can either keep them for yourself or wrap them in tissue paper, add a gift tag and pop them back in the jar for a gift for someone else. Similarly, the DIY Lip Balm was also clear and easy to create which left me impressed. The products are also useable! This tin contains 4 lip balm tin labels, beeswax, a spatula, 4 lip balm tins, natural glitter and cocoa butter. Add some Sunflower oil from your kitchen and you are good to go. I don't know about anyone else but I think these two products make the perfect gift for someone who likes beauty because it is different. It would also be good for children to do with their parents - and it's all natural. As their packaging says "No parabens, no sulphates, no synthetic fragrance, no this, no that, no the other"